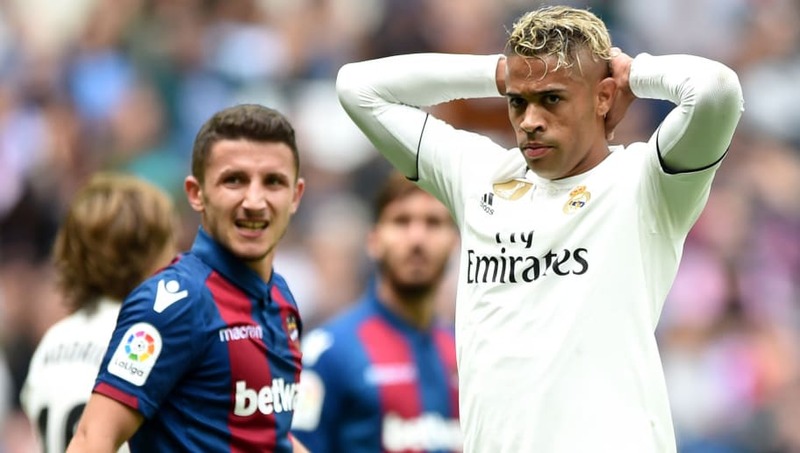 La Liga giants Real Madrid made club history as they suffered a 2-1 defeat against Levante on Saturday, setting a new record for the longest run of minutes they have ever gone without scoring a goal. Los Blancos were enduring a painful goal drought ahead of kick off which extended back 409 minutes across all competitions, with their last strike coming way back in September during a narrow 1-0 win over Espanyol, courtesy of Marco Asensio's left foot. The club's previous all-time record without a goal, as Marca pointed out, stood at 464 minutes. This meant that if Real Madrid failed to score within 55 minutes during Saturday's lunchtime kick off they would set a new goal drought record. Although Real Madrid were able to get on the scoresheet, Marcelo's strike didn't come until 72 minutes had already been played, setting their new record to 481 minutes without them finding the back of net. This unwanted record has highlighted better than anything just how much of an effect Cristiano Ronaldo's departure has had on the club. Although the Portugal international is hardly lighting up Serie A, his impact at Real Madrid is being felt this season, with Los Blancos looking lost in front of goal this season. Julen Lopetegui's side have scored just 13 goals - including Marcelo's striker against Levante - in La Liga this season, a tally which ahead of kick off was on par with Deportivo Alavés, Real Sociedad and Levante. Strikers Karim Benzema and Mariano Díaz have scored just six goals between them, including the former's striker against city rivals Atlético Madrid during their UEFA Super Cup defeat in Estonia.